Eden Grove missed out on the chance to go top of the Doncaster Sunday Alliance League Premier Division as a result of their 4-3 defeat at Bullcroft Sports & Pastimes. Bentley Top Club, for whom Michael Attard, Lee Wilkinson and Lee John netted, moved level on points with leaders Rossington Club following their 3-2 win at Stainforth (Jamie Hindson). Athletico Tap Maker also recorded their third win in four games when beating Wheatley Hotel 5-3 thanks to goals by James Batchelor (2), Sam Fletcher, Dan Read and Chris Scott. Bessacarr took over top spot in the Championship courtesy of a 4-2 win over Bay Horse. Rossington Welfare climbed to joint-second on the back of a 3-2 win over Auckley. The Vault dished out a 7-3 beating to previously unbeaten FC Dunscroft. The Askern (Chris Colley, Niall Horstead) and C&R Sports Bar (Keil Embury, Andrew Darville) battled out a 2-2 draw. Rosehill Press and Willaspoons also shared the spoils from a 5-5 draw. Billy Kirkham notched a hat trick for the home side with Lee Dixon and Cory O’Sullivan also netting, with Ryan Ambler (3) and Robert Lee (2) sharing out the Press goals. Finningley Athletic continue to set the pace at the top of Division One after beating The Railway 4-2 to claim their fourth win in as many starts. Ryecroft Rovers continue to head the chasing group thanks to their 6-1 win at FC Ivanhoe. Balby Athletic were the highest scorers of the day, inflicting a 12-2 defeat on hosts FC Little Un, whose consolation goals were both scored by Jordan Wood. Sam York also had his shooting boots on when scoring five of Balby Academy of Sport’s goals in their 7-1 win over Rossington Legion. James Kenny and James Hackzyski also chipped in. Steven Crossan was the Legion marksman. 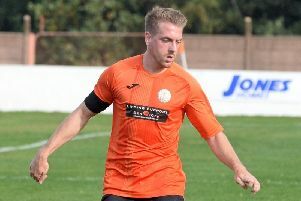 Carcroft Village (Alan Fawley) are still looking to get off the mark after losing by the odd goal in three at fellow strugglers Scawthorpe United. FC Cumberland still top Division Two despite dropping their first points of the season when being held to 2-2 draw by visiting Palfreys Lodge. Leopard scored the only goal of the game at home to Team 23 to collect their third successive win. Armthorpe Village and White Hart (Askern) both lost ground to Leopard after contesting a 3-3 draw. Mark Stanley and Scott Dixon were both on target for Askern with Steven Wagstaff (2) and Damian Foster replying for Village. Eden Arms also shared the spoils with Bentley West End S & S following their 4-4 draw. Matt Flanagan hit a double for Arms and there were single strikes for Scott Dixon and Joe Wade. Tom Hall starred with a hat-trick as Highwayman registered a 7-2 win over Lokomotiv Danum. Billy Worton, Kyle Bartcliff and Davis Swift also found the net. Athletico Fairway retained top spot in Division Three when beating pointless Windmill Wanderers (Craig Cookson) 2-1. Second-placed Wheatley Club handed out a 6-0 beating to Sesku Miners Community, who were playing their first game. Reese Joslin hit a double with Ryan Fletcher, James Horstead and Matthew Cooper also weighing in. Real Bridge lost 2-1 at Loaded Sports. Gareth Peers and Mark Barkham both bagged a brace as Balby Rovers claimed a 5-3 win over Stag Inn Rovers. Phil Carroll also got in on the act. FC White Hart Wadworth never looked like falling at Bechers Brook (Andrew Sheldrake) when galloping to a 6-1 win. Zak Whitehouse helped himself to five of the goals with Jacob Midgley also netting.